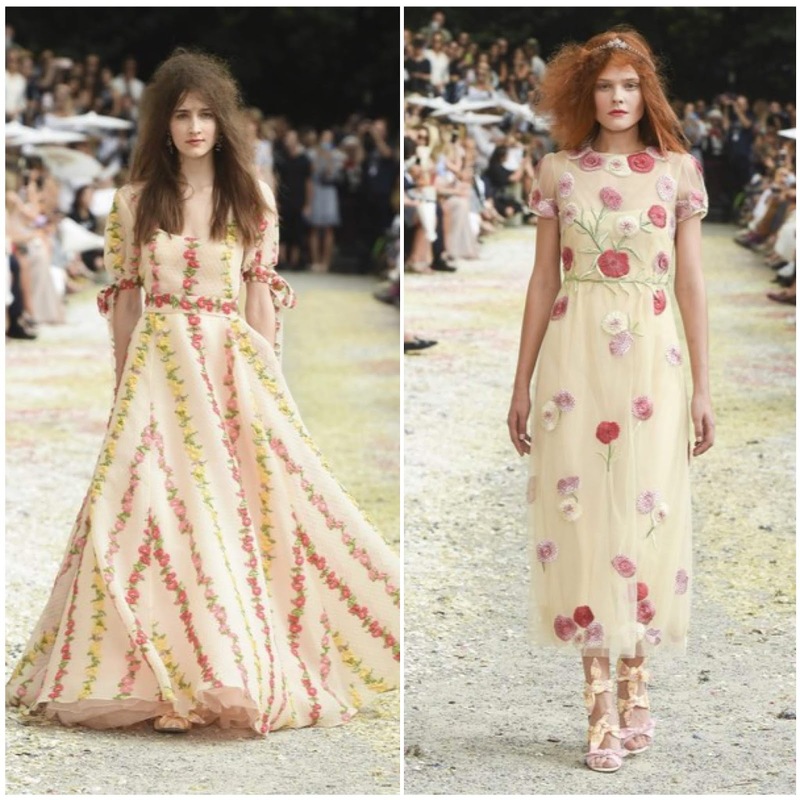 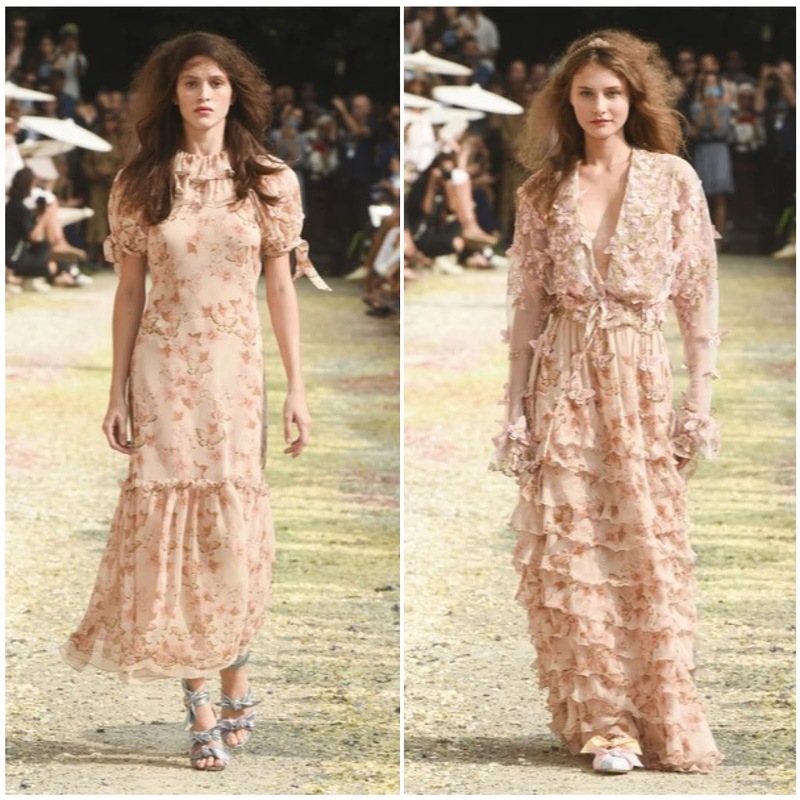 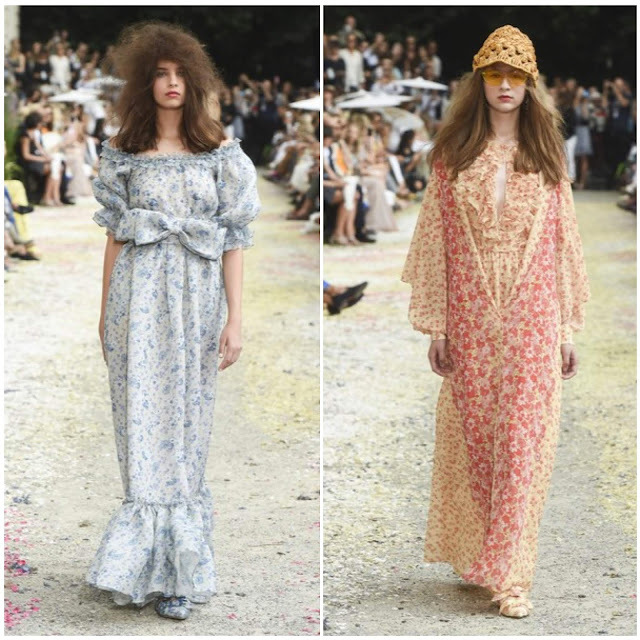 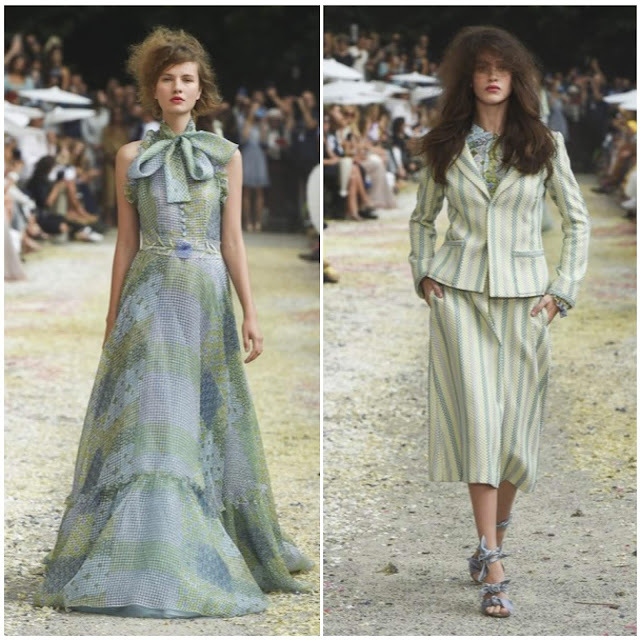 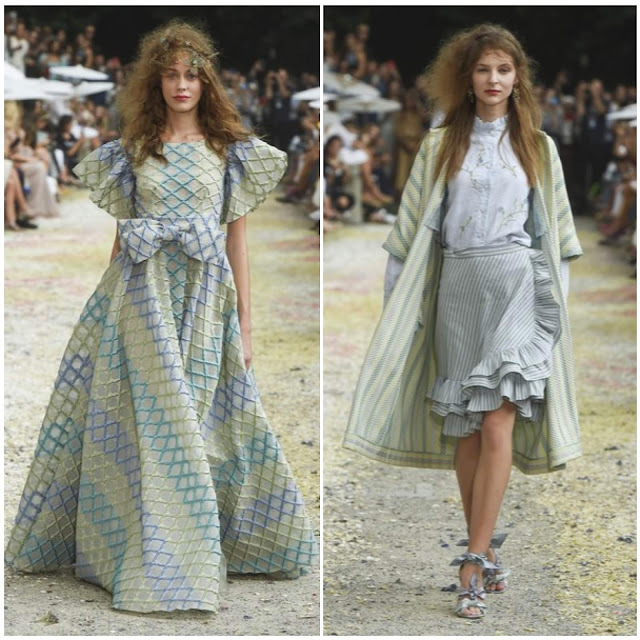 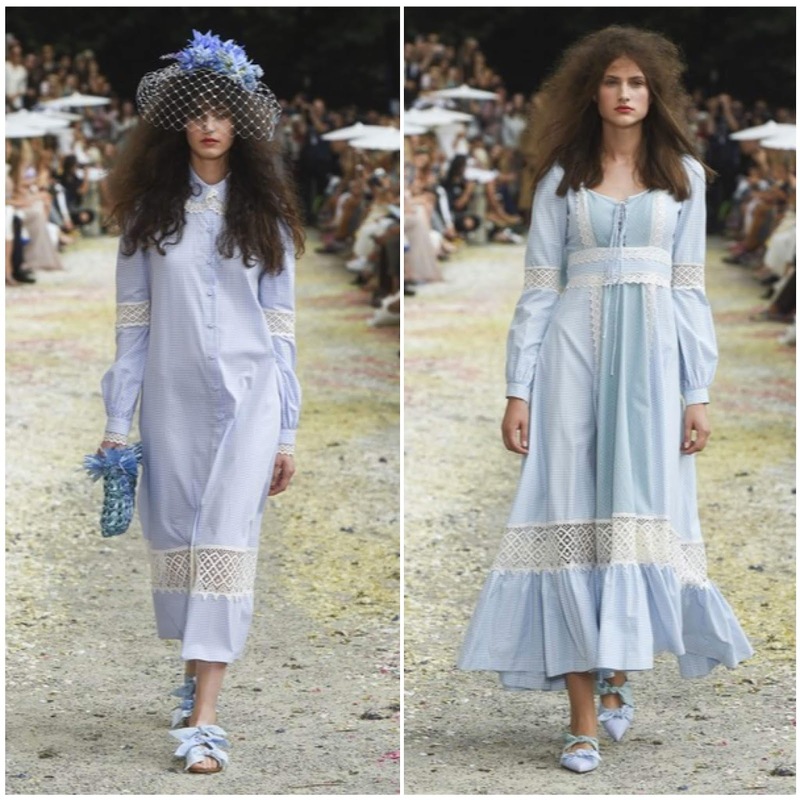 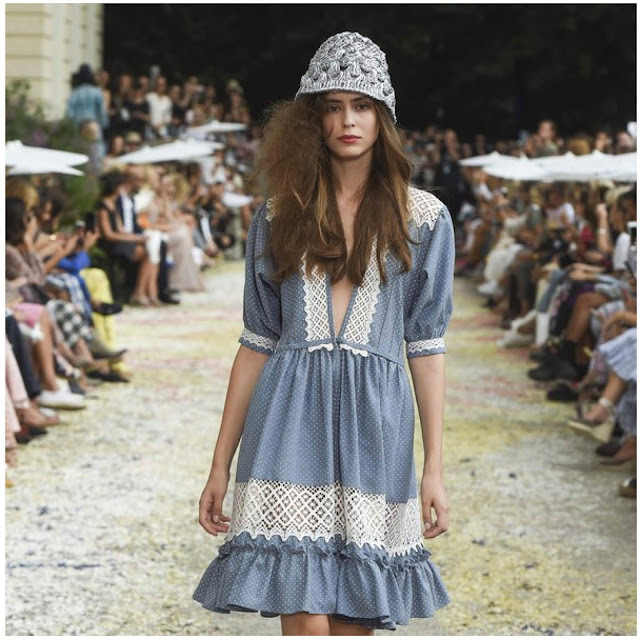 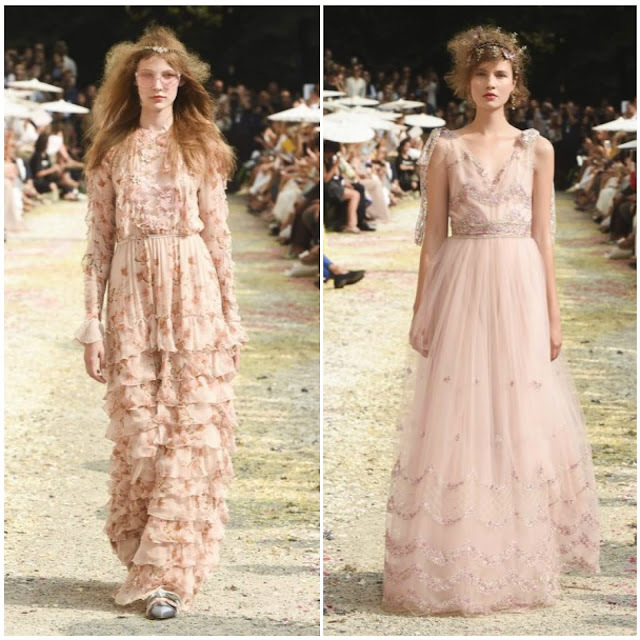 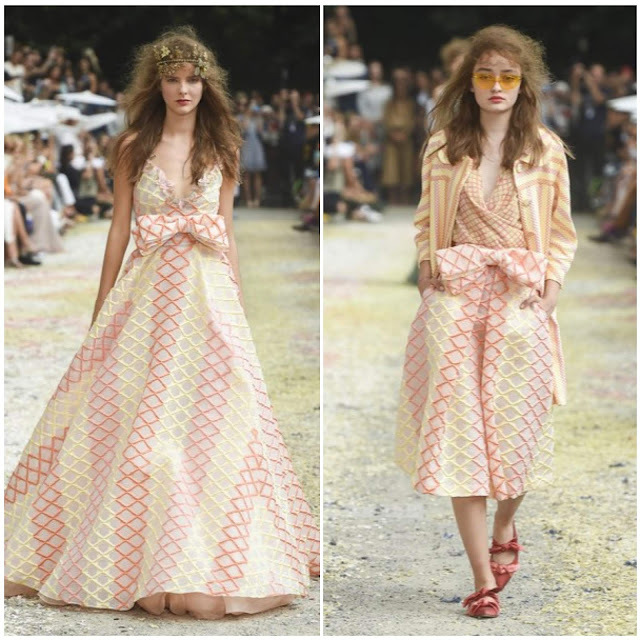 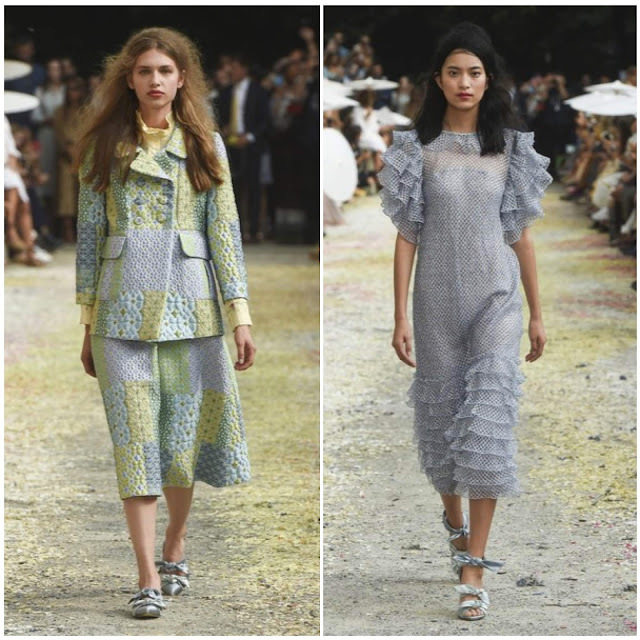 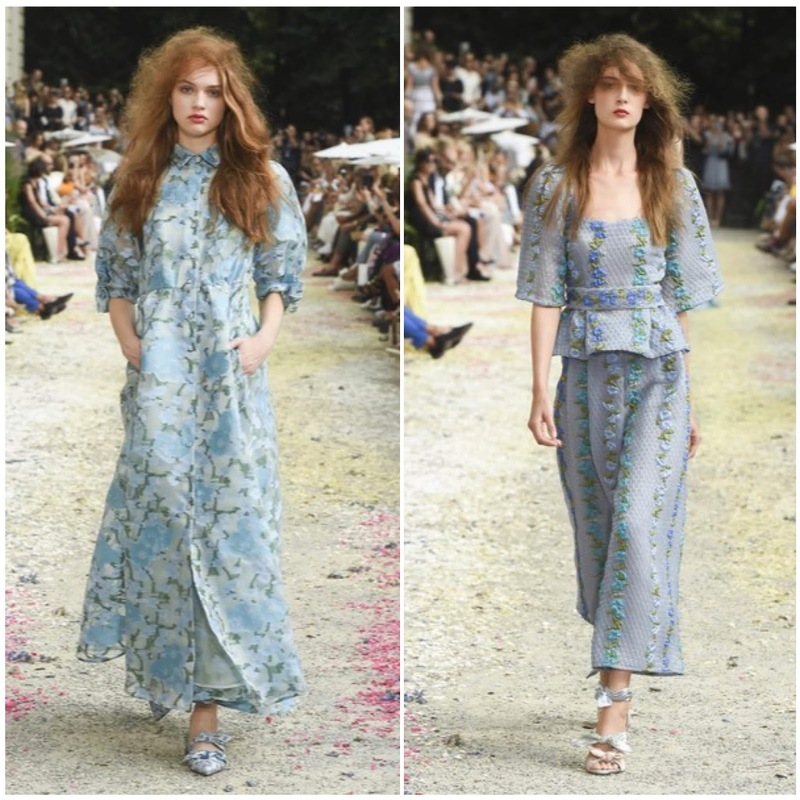 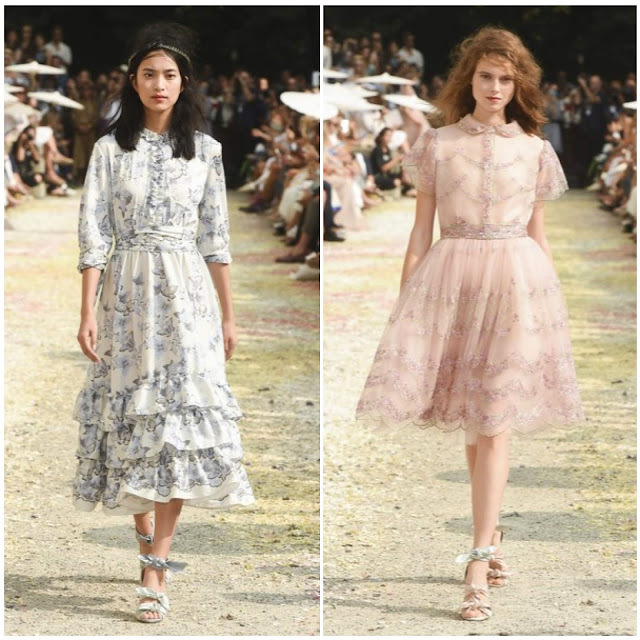 A hyper-feminine prairie aesthetic was very popular in the New York shows, but we didn’t see much of it in London or Milan until Louisa Beccaria. 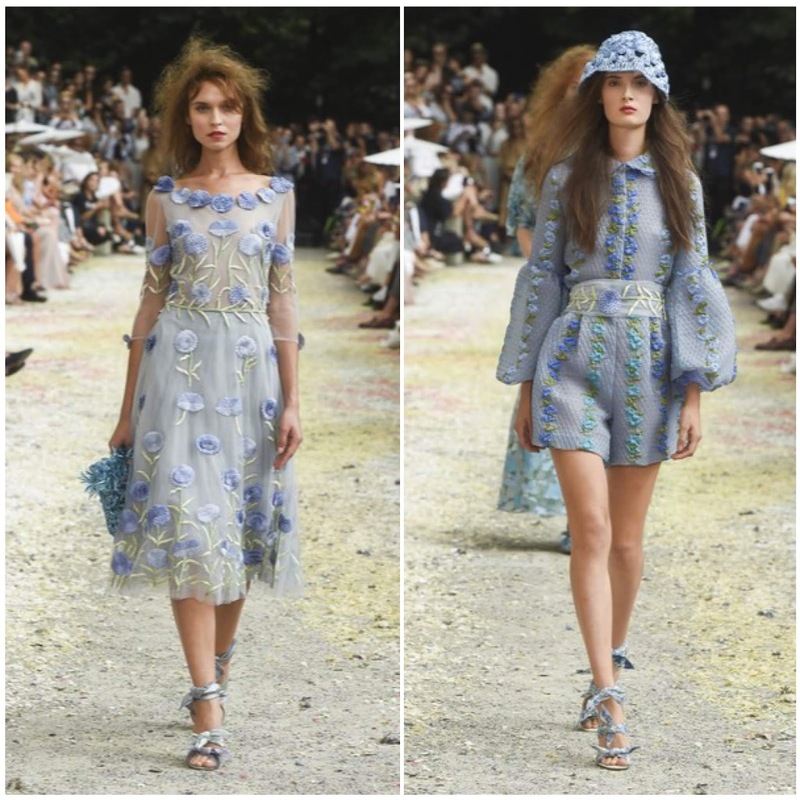 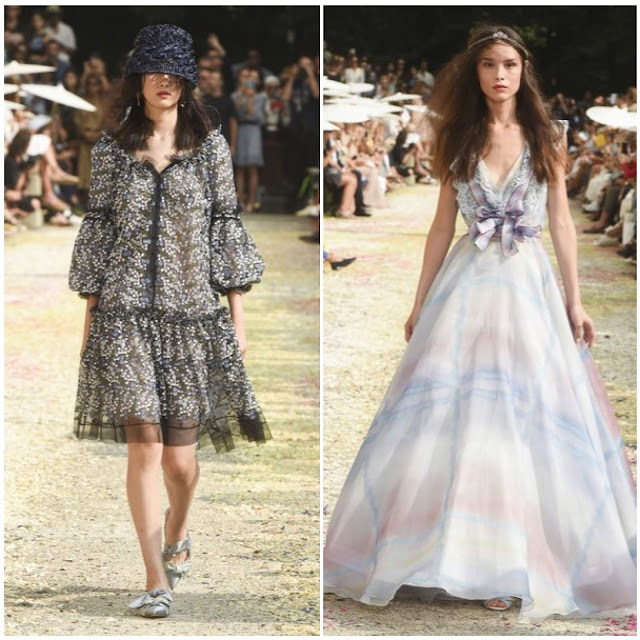 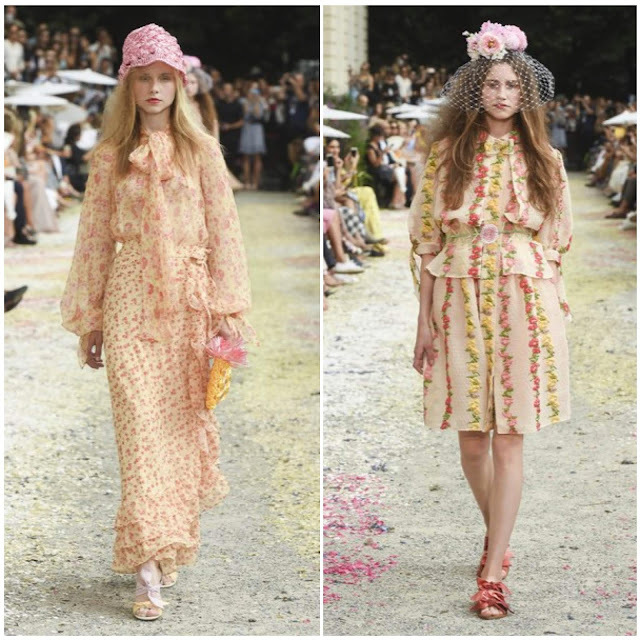 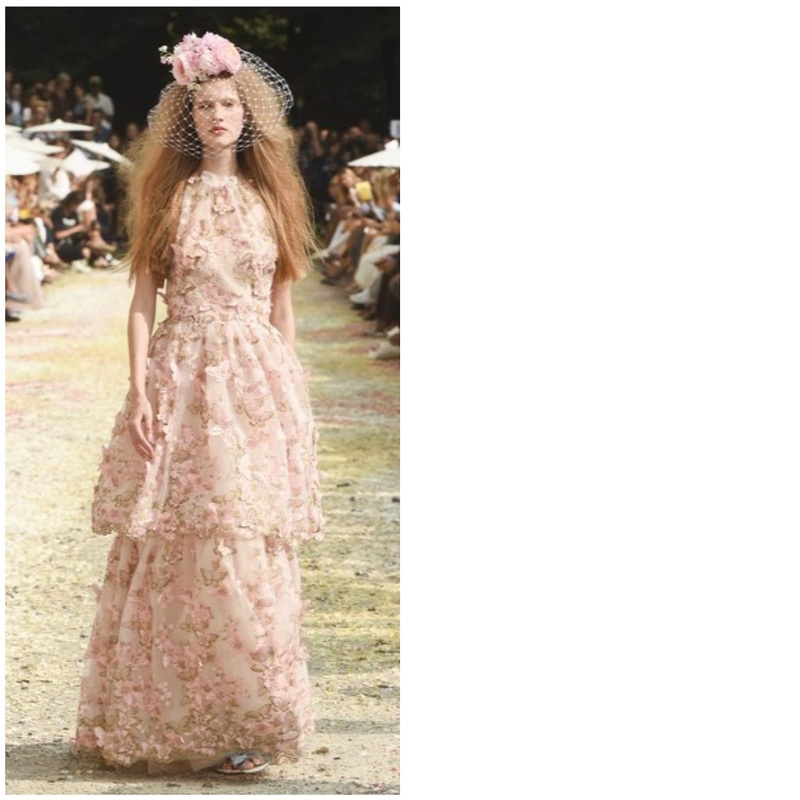 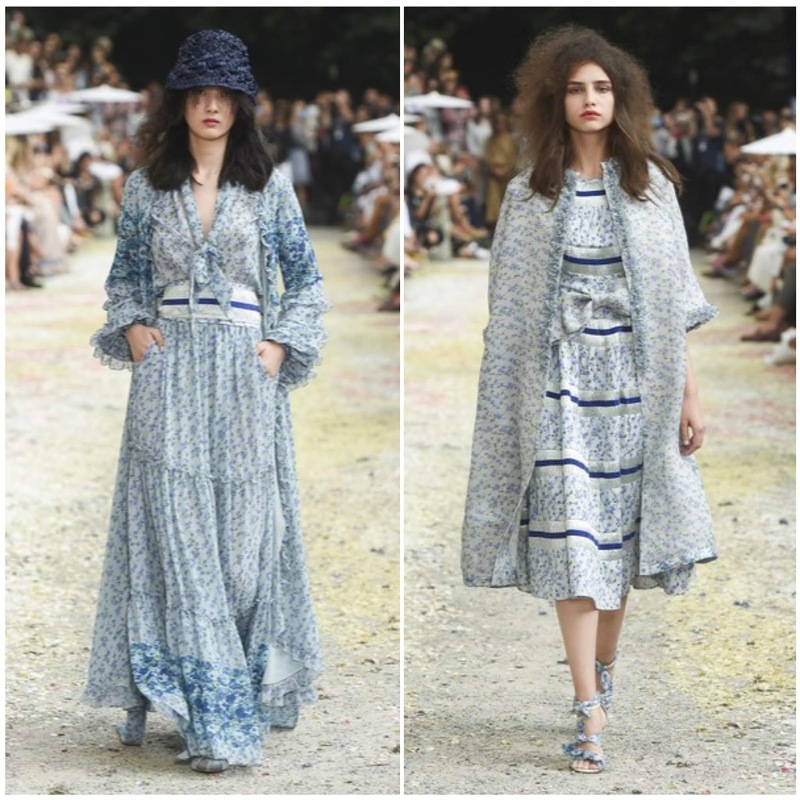 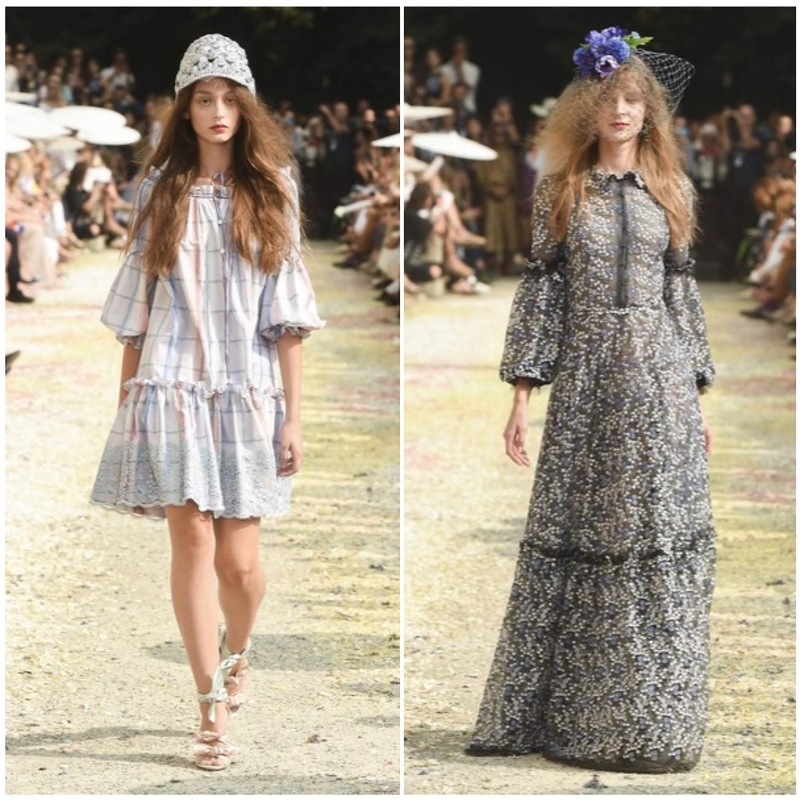 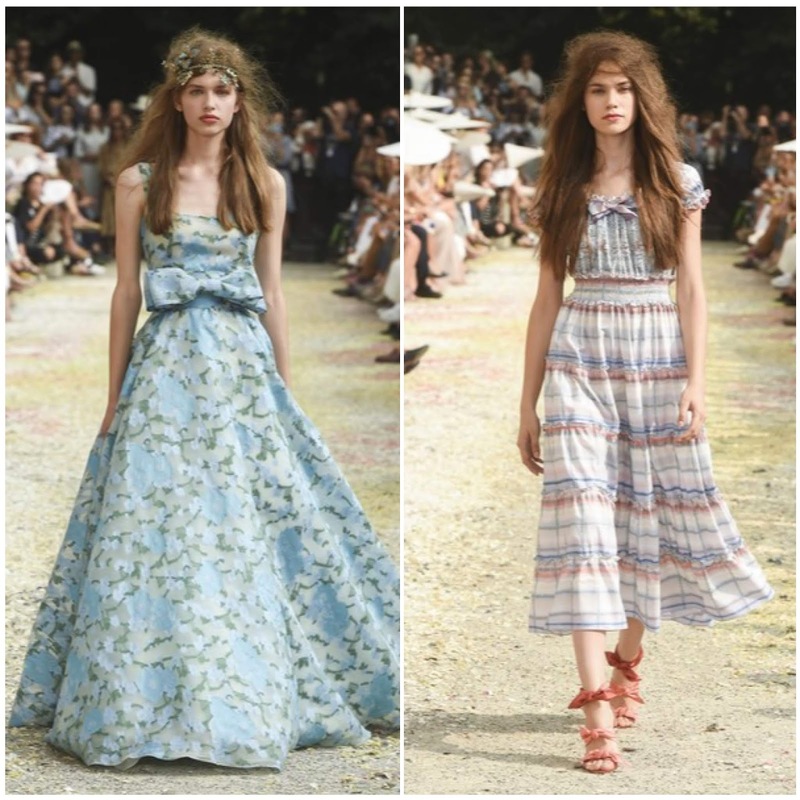 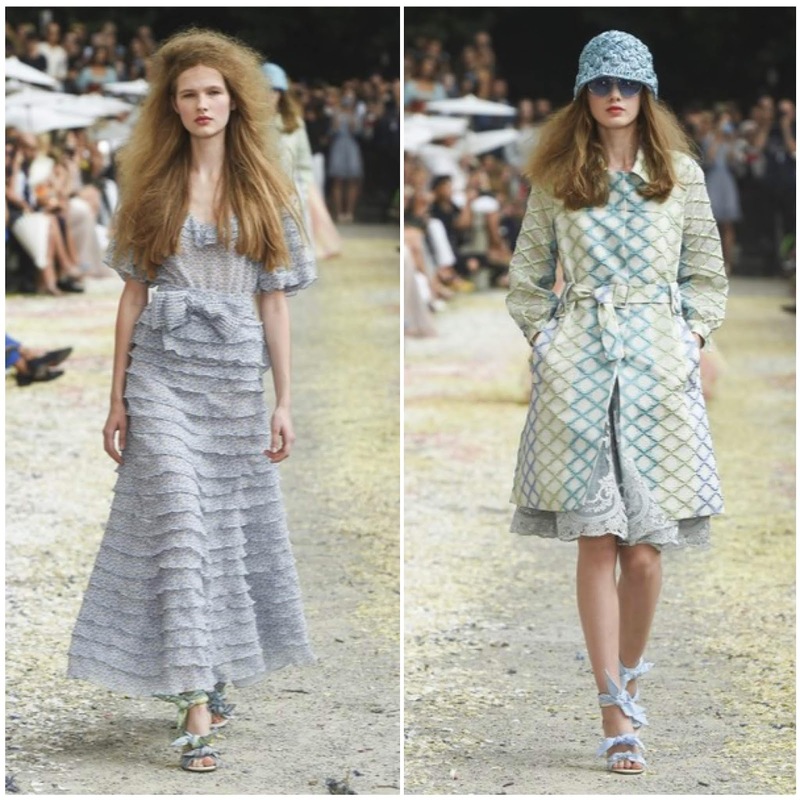 Her pretty, frilled and sprigged patchwork tea dresses resembled an English garden. 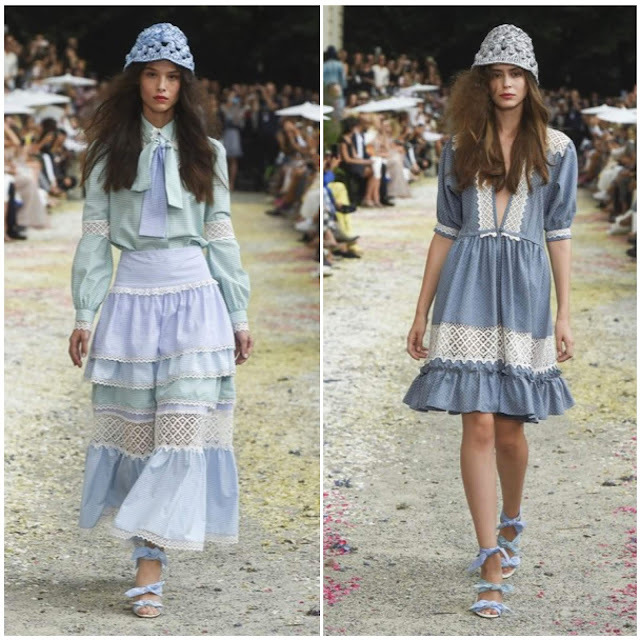 The dress heavy collection featured delicate lace inserts, frills, ruffles, and huge bows at the waist all topped off with crocheted hats and artfully backcombed hair.